A group of botany students becomes stranded in a mysterious forest. After eight years of training as an actor, Sasha Vukovic realised that he was better suited to being a writer. 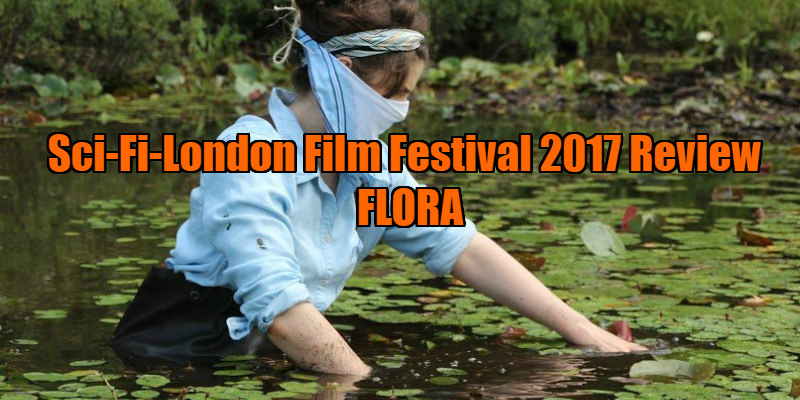 Flora is his first feature-length screenplay, and revolves around an expedition of university students recruited by their Botany tutor to log and record the flora and fauna found in an uncharted forest on the North American Frontier. Unusually for a sci-fi, Flora is actually set in the past, in the summer of 1929 - at the end of the golden age of exploration. As the university botanists assemble at the meeting place in the remote forest, they find their tutor is mysteriously absent. They ominously discover that the forest where they are stranded is without insects, animals or birds. Isolated in a toxic environment, the young students must use their ingenuity and limited resources to understand, survive and escape an ancient organism thriving in the wilderness that surrounds them, and again reach civilisation. As the tagline indicates: 'Some things live stronger alone'. 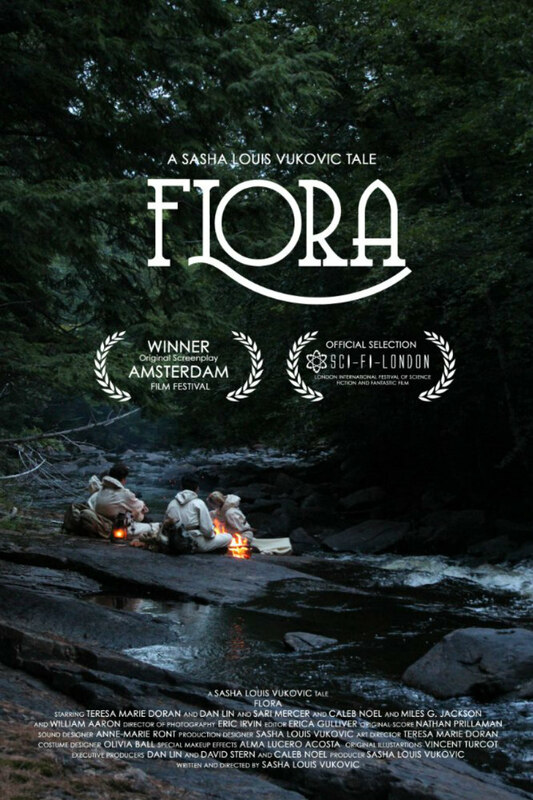 Flora became a unique indie sci-fi project, privately funded by Vukovic’s family and friends. Having a very limited budget, his idea proved to be inspired, as he could set his story in the beautiful woods and rivers of Ontario in Canada. If there’s one terrain that is spectacularly gorgeous, but still perilous, it’s the heavily wooded slopes of the Canadian mountains - trek far enough into this wilderness and one can easily get lost. As many horror and suspense movies testify, there is a kind of primal fear that comes with being stranded in thick woods. Once night falls, the light from a fire barely breaks through the enveloping darkness. Who know what’s out there? Having set the movie in 1929, there is also the opportunity to explore the backstory of the female characters, and their frustration at being excluded from the opportunities afforded to their male colleagues. Ora Blackwood (Teresa Marie Doran) is a talented botanist and illustrator, but has struggled to win her place at the university and receive recognition for her experience and talent. The other is Avis Tasker (Sari Mercer) a dedicated nurse who is denied the right to become a doctor. Although they receive support from their male friends, they suffer crises of confidence, which makes a telling counterpoint to their obvious skills. Flora has a particularly striking score - custom jazz played in the brassy style of the 1920s. Actor Dan Lin referred Vukovic to Nathan Prillaman, who studied music composition at Julliard. The music was all done in the studio with Julliard musicians from New York City using musical instruments one might play if one were out on a camping expedition. There is a little piano, but it is mostly guitar, mandolin, or percussion. The entire movie, except for the night-time scenes, was shot with natural light. "The lighting equipment was me choosing locations based on when and where the sun will set, and knowing how much sunlight would be let into a certain area," remarks Vukovic.